Leading eventing rider Sir Mark Todd has hinted that he may be at a crossroads in his career, as he prepares to saddle racehorse Eminent to take on Winx in Australia this weekend. Should his charge run well he may miss Badminton next month and instead continue as Eminent’s trainer. Winx is aiming for her 33rd consecutive race victory this weekend in the Group One Queen Elizabeth Stakes in Sydney. 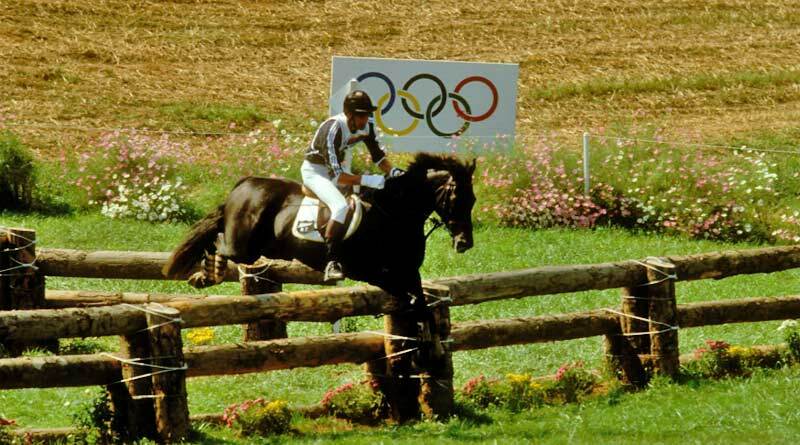 Todd’s charge Eminent is owned by Sir Peter Vela, who has owned several eventing horses with Todd, who earlier trained racehorses in New Zealand after retiring from eventing after the Sydney Olympics in 2000. Shortly after winning the Gr.1 Wellington Cup with Willy Smith in 2007, Todd returned to equestrian sport. Vela bought Eminent with the idea of standing him at stud in New Zealand, and asked Todd if he’d train him in his Australian campaign. Eminent, renamed He’s Eminent while in Australia, ran a gallant second in the Ranvet Stakes in Sydney last month, his first time on a track in seven months. Todd, 63, said this Saturday’s performance would dictate where the future lies for both himself and the well-bred entire. “Plans seem to be changing quite rapidly at the moment. I am supposed to be going back to ride at Badminton, which is the first week of May. “But, if the horse runs really well on Saturday, we might now be going to Hong Kong in two weeks’ time (for the Gr.1 QE II Cup, 2000m). Todd is one of seven previous winners entered for the Badminton Horse Trials (May 1 to 5), where he is to ride NZB Campino, whom he owns with Vela’s company New Zealand Bloodstock. The combination’s previous start at Badminton, in 2017, netted them fourth place. Todd said that win, lose or draw, he has thoroughly enjoyed the build-up to Saturday’s race in Sydney and is amazed with the manner in which the city has embraced Winx’s finale. Todd has been riding Eminent in some of his work and believes the horse is in good order. “He’s a lovely horse,” Todd said. “I joked with the owners (Sir Peter Vela and Hubie de Burgh) that he would make a nice event horse. Eminent will attempt to spoil the party at Randwick when he takes on Winx, but Todd is very aware of the mammoth task ahead of them. “We are under no illusion as to what our task is with Winx,” he said. “She’s an amazing mare and she’s famous all around the world.